This past Saturday, I finished my peak week of training for the Dallas Marathon. As I ticked off the 57th mile – my highest weekly mileage ever – I took a mental note of how my body felt. I was sore and tired, but energized in a strange sort of way. I remember how last year, when I had my first 50 mile week, I was tired, hungry, and sore. This year is different, because of some of the changes I’ve made. Last year I ran three marathons in five months (December – April), so I ran a full training plan for the first one. Then I moved into a recovery/reduced mileage/taper cycle for the other two marathons. I had a nice off-season, and came back stronger and faster. I decided to follow the same approach this time around. I know each marathon won’t be faster, but in Texas there is not a lot of choice on the time of year. Plus, you never know what weather Dallas will throw at you on race day. Change #1: I’ve lost weight. Every time I marathon train, I gain weight. Usually about 3-5 pounds. This time, I’ve lost two. It may not be a big deal to some, but for me (a formerly obsessive scale watcher) it made my day. I’m doing a better job managing my hunger, which brings me to surprise number 2. Change #2: I’m not hungry all the time. There are still days when I my stomach is growling less than an hour after a meal, and there are days where I am eating constantly. There are also days when I am able to control my appetite better by increased fats (avocados and almonds) and different carbs (fruits and veggies). I’ll probably write more on this topic in a later post, as I’ve been trying out some different foods. Gone are the handfuls of pretzels and before bed bowls of cereal. Change #3: I’m running six days a week. It’s much easier to manage higher weekly mileage spread over six days instead of five. Sometimes, I will split the Monday run in two by running some in the am and the rest in the pm. Sure it creates some extra laundry, but it beats having a 4 am alarm every weekday. Change #4: I’m not cross training. Some of you are committed to cross train at least once a week. I just don’t have the time to fit it in. I did a lot of stationary biking this summer, and since we now live in a two story house I’m constantly working those muscles up and down the stairs. Oh, did I mention we live on a hill in a hilly neighborhood. Most of my running is done by tackling those hills – strength training. I do try to do planks, wall sits, core exercises at least once a week. I’ve added some drills to the mix as well. Thursday: 9 miles total – 9 x 800m intervals w/400 m recovery (splits: 3:34, 3:32, 3:34, 3:38, 3:41, 3:44, 3:41, 3:39, 3:47) This was my first time on the track all season, and the first fast workout since my last 10k in September. I didn’t hit the pace on my plan, but I ran as hard as I could. My breathing was pretty rough, and I’m still faster than a year ago when my 800s were closer to 4:00. Saturday: 20 miles with temps in the mid 60s and humidity. (3:08:00) That four hour marathon goal is getting closer! Yes, a tank top in mid November – four days after wearing full cold weather gear. It is Texas. Thank goodness it’s taper time! What have you changed in your training that works better for you? I haven’t spent much time posting about my marathon training, partly because I don’t want to burn you out. My marathon race season includes Dallas in December, Houston in January, Cowtown in February, and Oklahoma City in April. Another reason I haven’t posted much about my training is because the volume has been testing my confidence . I have hit higher mileage than ever before, and my weekday runs have been pretty lengthy too. 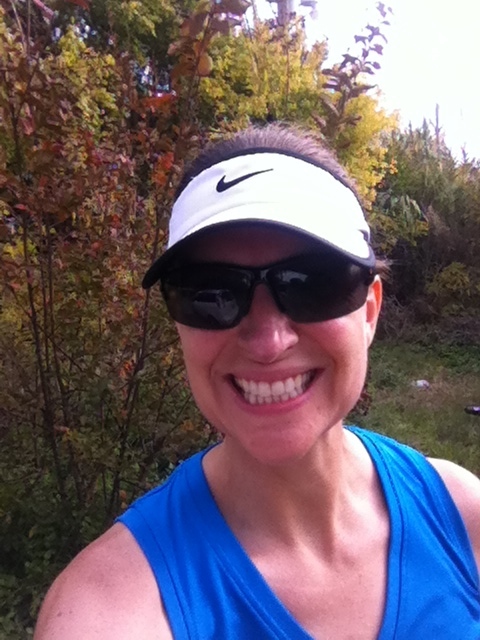 My goals – on a marathon level – kind of scare me. I don’t know how my body will respond to all these marathons, but I know that there’s only one way to find out. For the most part, my training has been going well. I’ve had a few runs where I was tired, couldn’t quite hit my pace, or felt unmotivated. 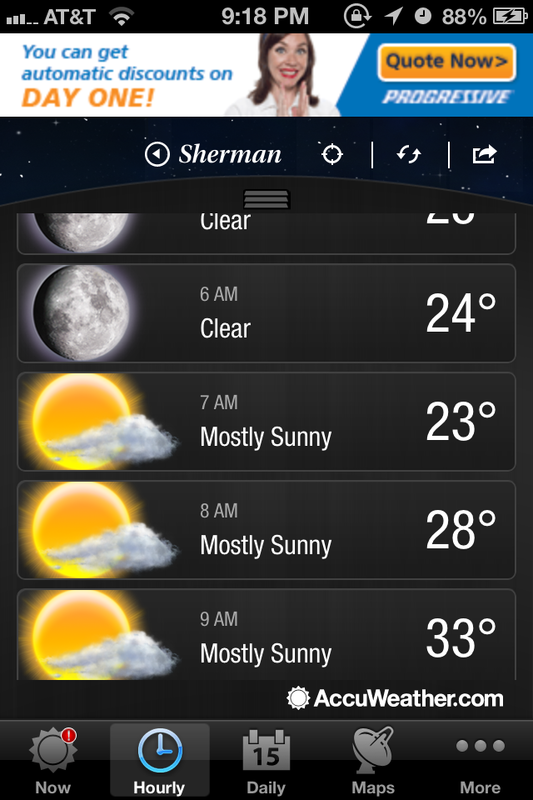 This is normal for a training cycle, so I wasn’t too surprised when Saturday’s run was a wash. I didn’t feel good when I woke up, which was probably due to concession stand nachos and Twizzlers from the football game the night before. I also ate way more refined carbs than usual for dinner on Friday. I was tired from sitting at the game all night, and only got about five hours of sleep. On a positive note, football season is over so I get my Friday nights back. I had my second (and last) 20-miler on the schedule, but after the second mile (and first pit stop) I talked myself down to 18. I decided to put 20 on this week’s plan instead of the scheduled 17, and just go with it. Then I have three weeks to taper, and it will be fine. 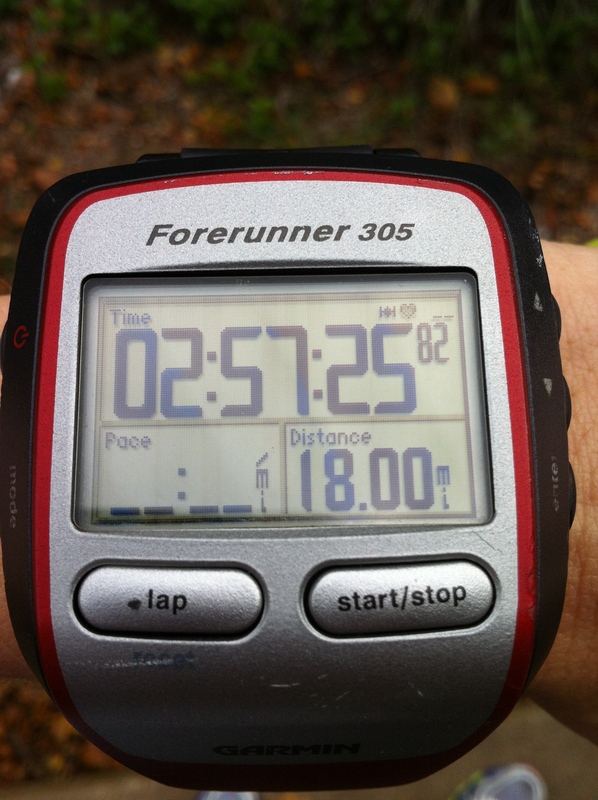 My pace continued to slow throughout the run, but I slogged through the 18 miles anyway. I figure if I can manage it when I feel terrible, then I’ll be better able to handle the tough moments in races. After looking at my time and comparing my running log, I noted that I ran 19 earlier in the season that was three minutes faster than my 18. 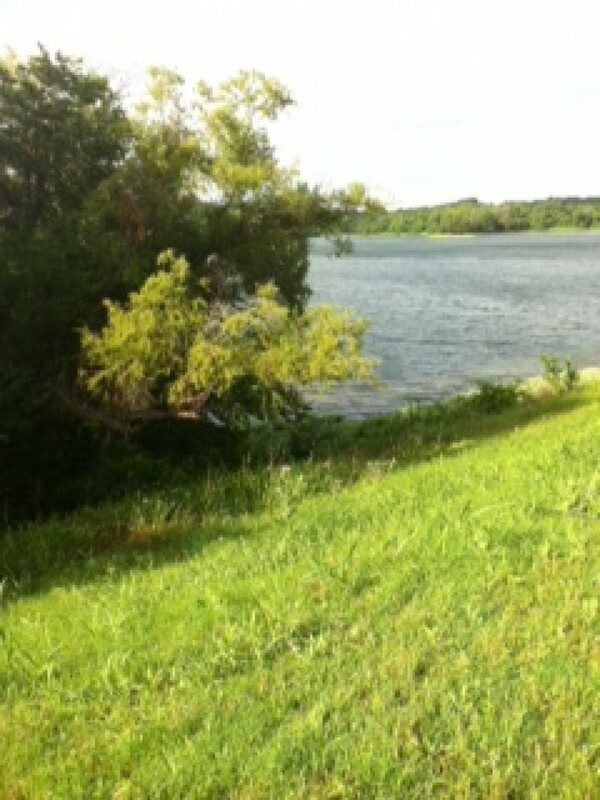 I did make it a point to enjoy one aspect of my run though. I love seeing the leaves actually fall from the trees on a breezy day. The orange, red, and yellow leaves this time of year are beautiful in North Texas. I like to crunch through the piles of leaves on the streets. Fall is my favorite time of year to run. How about you? What’s your favorite time of year? What tips do you have to get through a tough long run? Running is a cheap sport, all you need are shoes, shorts and a t-shirt. That’s the impression I was under when I started my adventure over three years ago, and I disagree. While it’s true that there’s no equipment to buy – like a bike – it can get a little costly depending on the distance, race location (and size), and how often you run. While I would love to jet all over the country running marathons, at this point in my life it’s just not possible. I have four children at home, a part-time job, and a husband who is out of town frequently for work. So I follow the big marathons, and put those on my future list. Meanwhile, I will continue to cut costs where I can, and enjoy this season of my life. Also, in order to get my marathons in without expensive travel, I have chosen to run the big one near me: Dallas, Houston, Fort Worth, Oklahoma City. No airfare. In my last post, I shared a few ideas on how to save money running, and as promised here are a few more. Fuel: I have tried all kinds of fueling options for my long training runs. Unless it’s race day, I try whatever I can find on sale. Our local Academy often has Gu, Clif products, and other brands on sale. I can get Nuun there as well, and every couple of months it will go on sale. I have found that Nuun is more cost-effective to have around the house. It doesn’t have added sugar, and my kids don’t care for it (probably because it’s missing the sugar). It doesn’t disappear like sports drinks do. I have also found Power Bar products on sale at the grocery stores in town. Again, I will try anything I can get a good deal on. Once I discover that I can tolerate something well on a run, I will stock up next time it’s on sale. Then I hide them away in my closet. I have a teenage boy who craves sweets, so gels or chews are not safe. I have also tried fueling with food like raisins and granola bars, but the portability of the other products are a win for me right now. Expos: I may have written about this before, but I like to stash away some cash for upcoming marathon expos. You can get some great deals on all kinds of gear. I’ve bought sunglasses (with a year warranty), compression gear, hats, and more. You can also get some great free stuff. Rewards: My local (45 minute away) running store started a rewards program earlier this year, and I know other shops that do too. For every _x_ amount you spend, you get _x_ in rewards to spend. I also mentioned to them once when I was picking up a race packet, how I wished I could get my shoes there. I have a long, skinny foot and they don’t stock much in the way of narrow widths. They offered to order my shoe and ship it to me for free! What other ways have you found to save money running?